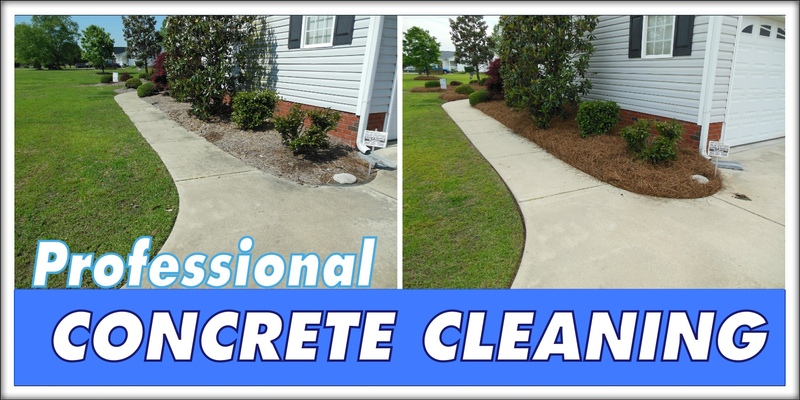 Intercoastal Exteriors is proud to offer industry certified concrete and hard surface cleaning. Our concrete and hard surface cleaning service is way to increase your curb appeal while helping preserve the surface by removing the contaminates that over time weaken and break them down leaving costly repair or replacement costs in the future. How Do You Clean My Concrete and Hard Surfaces? We start by evaluating the surface to discover what it requires to give you the best clean. We then apply custom blended soaps and detergents to break down and begin to lift the stains left by the contaminates and organics. We then use temperature and pressure regulated machines to professionally clean the surface. This will give your driveway or hard surface a nice even clean that will be brought back to its highest potential. Organics and dirt trapped on these surfaces build up over time and create traction issues when wet leaving the potential for an accident. When organics and dirt are tracked into your home from these surfaces it tends to increase the dust and allergens within the home. After cleaned it can help reduce both by leaving less material on the surface to cause these issues. Customer service is our number one priority while serving you. No bait and switch techniques, only the best value offered every time. Professional equipment and staff will handle any size job. We are industry experienced, trained, and certified professionals. We at Intercoastal Exteriors are safety conscious and aware of property and staff. Licensed and fully insured for up to two million dollars for pressure washing services. Handymen and landscapers may be insured for some items, but this may not cover pressure washing while on your property. We are environmentally certified and understand wastewater laws and act in complete compliance with EPA and the Clean Water Act while servicing your business or residence. We 100% Guarantee that you are and will be happy with our work. 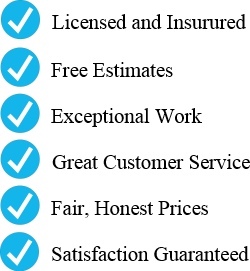 Call us now to set up your fast and friendly, free estimate.